Harrison Jacobs/Business InsiderA road in Jisr az-Zarqa, a coastal Arab village that is one of the poorest towns in Israel. Israel’s Arabs, who make up 21% of the population, suffer a litany of issues, from rampant crime and poverty to poor health. One of the hardest-hit Arab villages and towns is the coastal town of Jisr az-Zarqa, which is believed to be Israel’s poorest town. I visited Jisr with human rights activist Jafar Farah, who talked to me about the town’s numerous, interconnected issues and the need for the international community and the Israeli government to help Arab communities as they attempt to extricate themselves from poverty. 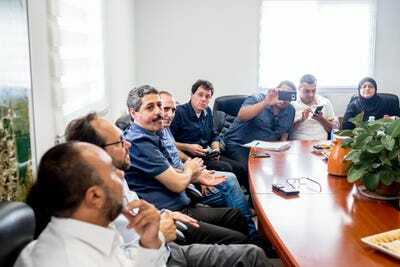 While the international media focuses on issues related to the Israel-Palestine conflict, after visiting Jisr with Farah, I am convinced the country’s struggle to improve the lives of its Arab minority might be even more pressing. On a sunny Thursday morning, I drove with the Israeli human-rights activist Jafar Farah to the coastal Arab village, considered by many to be the poorest town in Israel. It’s prone to gang warfare, shootings, stabbings, and arson, and 80% of the 14,000 inhabitants live below the poverty line. While most of the focus on Israel in the international news is related to the intractable Israel-Palestine conflict, the situation facing the country’s Arab minority, which makes up 21% of the population, is perhaps even more pressing. 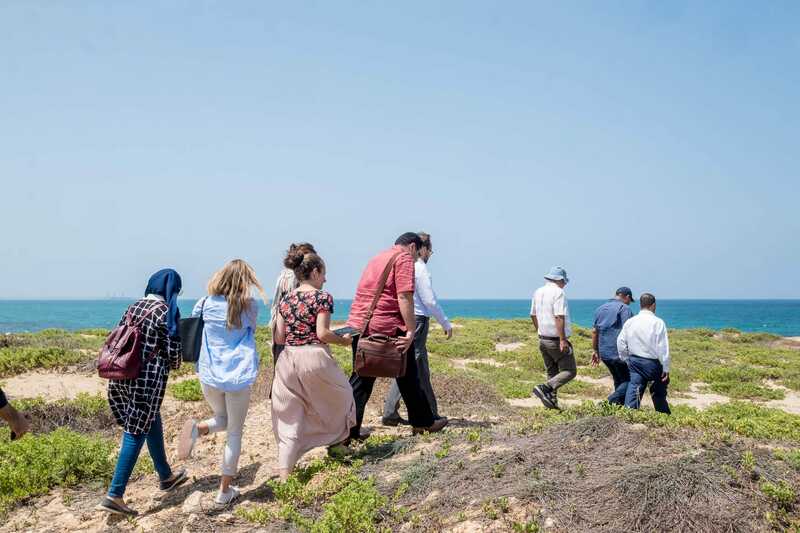 The situation is so bad that the Organisation for Economic Cooperation and Development said in its 2018 report that Israel needs to better integrate its Arab-Israelis or risk economic stagnation and declining living standards for all of Israel. Farah, who’s 52 and has a head of curly grey-black hair, has devoted his life to improving the situation of Arabs in Israel. In 1997, he founded the Mossawa Center, in Haifa, a city long heralded as Israel’s “model” city of Arab-Jewish coexistence. Farah winced as he shifted to get comfortable in his car seat. His leg had been in pain for months. In May, Farah was detained by police while he was looking for his son at a Gaza-solidarity protest. After seeing his son covered in blood at the police station, Farah demanded to know why. Farah said the officer’s response was to kick him and break his knee. The Police Investigation Unit has opened a probe looking into the incident. The officer in question has been placed on administrative leave. We drove down Highway 2, the primary artery connecting Tel Aviv and Haifa. Farah pointed at a crowded expanse of grey cinderblock structures overlooking the highway. Though Jisr az-Zarqa abuts the highway, there’s no exit. There were exits for the towns before and after. We drove farther south, doubled back on an interior road, and exited to a small two-lane access road that is the only way into the impoverished village. Harrison Jacobs/Business InsiderBecause Jisr az-Zarqa is not connected to the nearby highway, drivers must pass through this single-car tunnel to enter the town. Residents have complained for decades of police neglect – a police station for the village was opened for the first time in November – and said that when police are around, they treat residents as “a security threat or potential criminal.” The distrust is bone-deep. Farah has an acerbic sense of humour, honed after years of fighting what he sees as thinly veiled racist attacks on Arab communities. We drove through the one-lane tunnel that passes under Highway 2 and forms the entrance to Jisr. Farah pointed in each direction. To the east,he said, Jisr is bounded by the highway. 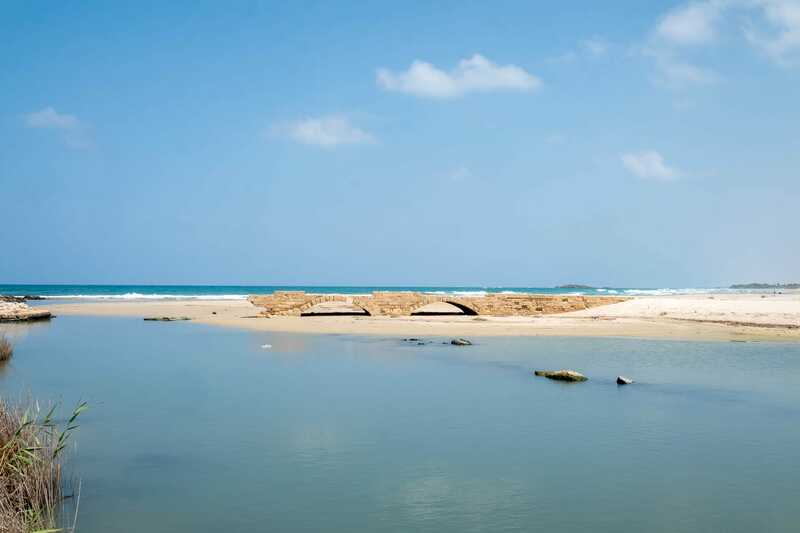 To the south, Jisr is bounded by Caesarea, Netanyahu’s hometown and a wealthy enclave of villas and private pools. An earthen embankment, nearly a mile long, 30 feet high, and 15 feet wide, was built more than a decade ago to separate the communities. 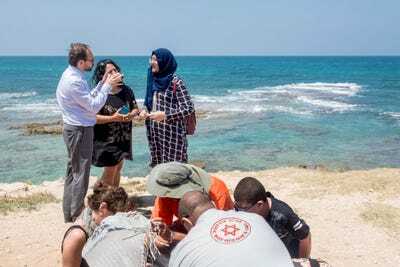 Caesarea residents said they wanted to block the sound of the call to prayer from Jisr’s mosques and to prevent thieves. 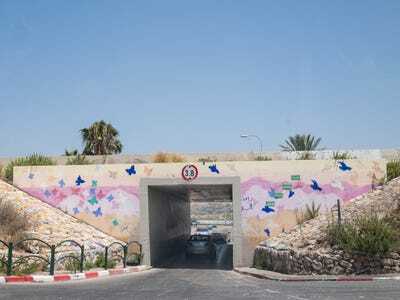 Jisr residents see it as another example of official discrimination: a separation wall built so wealthy Caesareans don’t have to look at the dilapidated town. 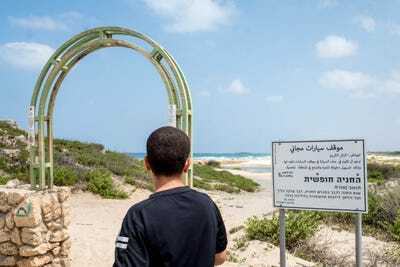 To the west there is the sea and the Nahal Taninim Nature Reserve, created in 2000 amid much consternation from Jisr’s fishermen who used the lands and waters. To the north there’s Ma’agan Michael, considered Israel’s richest kibbutz, or collective community. The 1,400-person kibbutz covers a landmass five times that of Jisr, whose population density is more akin to Cairo than a fishing village. 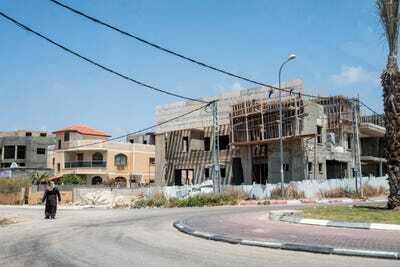 The town’s mayor has estimated Jisr would need to double in size to properly accommodate its fast-growing population. Plans to add land to Jisr by moving the highway or from unused land near Caesarea or nearby Beit Hanania have been blocked by those communities. “The kibbutzim can’t give back its agricultural lands, of course. Their fathers promised them those lands 3,000 years ago,” Farah said with an acidic laugh as he looked out to Ma’agan Michael. “But, remember, they vote for Meretz,” the social-democratic left-wing party. Harrison Jacobs/Business InsiderJisr Az-Zarqa mayor Morad Amash (L), EU Ambassador to Israel Emanuele Giaufret, and Mossawa founder Jafar Farah, among others at a meeting to discuss efforts to improve Jisr az-Zarqa. Harrison Jacobs/Business InsiderA view of Jisr Az-Zarqa. 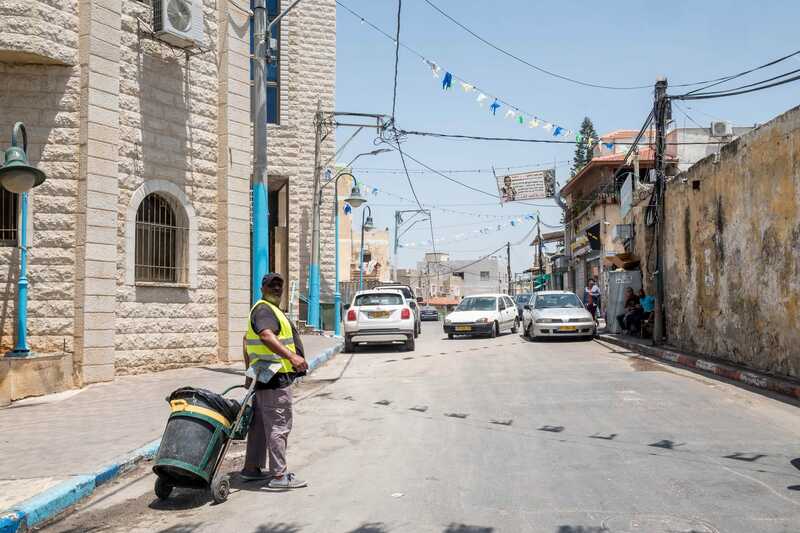 The problems that plague Jisr are extensive and interconnected: a weak education system, high crime rates, a lack of public services, insufficient housing, and high rates of unemployment, particularly among men. 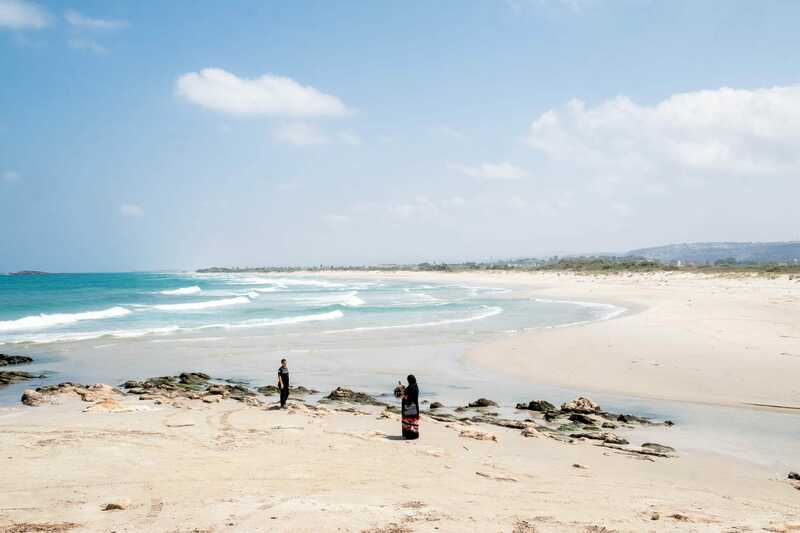 The men in the town used to make a living fishing off the coast, but scarcity and increased restrictions from the state have pushed most out. Many families now rely on income from the town’s women, who pile into shuttles at dawn every morning to take on menial jobs all over the country. 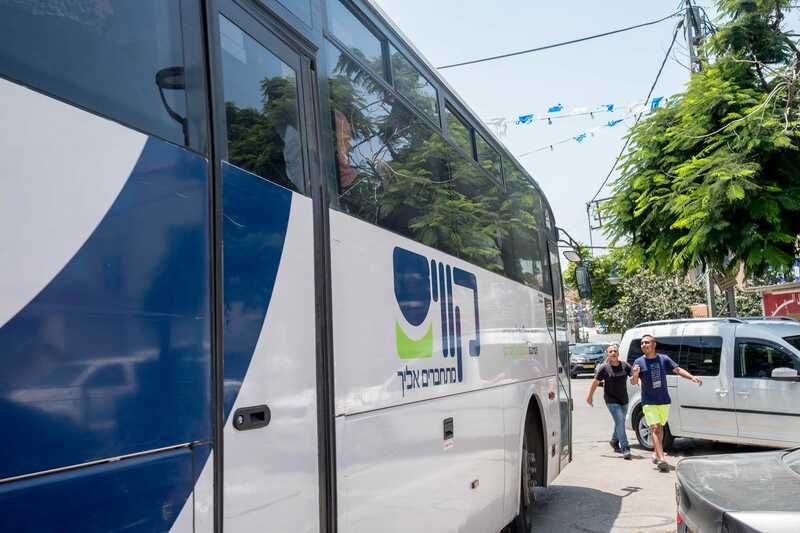 The majority of Farah’s advocacy in Jisr and other Arab communities is about basic services: In 2013, Mossawa successfully lobbied to have Jisr connected by public buses. Other recent successes include the building of an early childhood center and a building for the social welfare department. But the center and department will be housed in the same location. “Not good,” Farah said, shaking his head. Shortly after, the government approved a $US4.3 billion five-year plan, Resolution 922, to improve education, housing, and policing in Arab communities. About one-third of the money has been spent so far. Rather than specify the amounts of money used for programs, it directs government agencies to allocate 20% of their budget to minority populations. Some in Arab society, like Farah, have suggested the plan was a fraction of the funding needed to bring about real change. Near the southern edge of the town, Farah showed me how squat houses alternated with unfinished multistory concrete structures and ramshackle houses were built on top of one another. 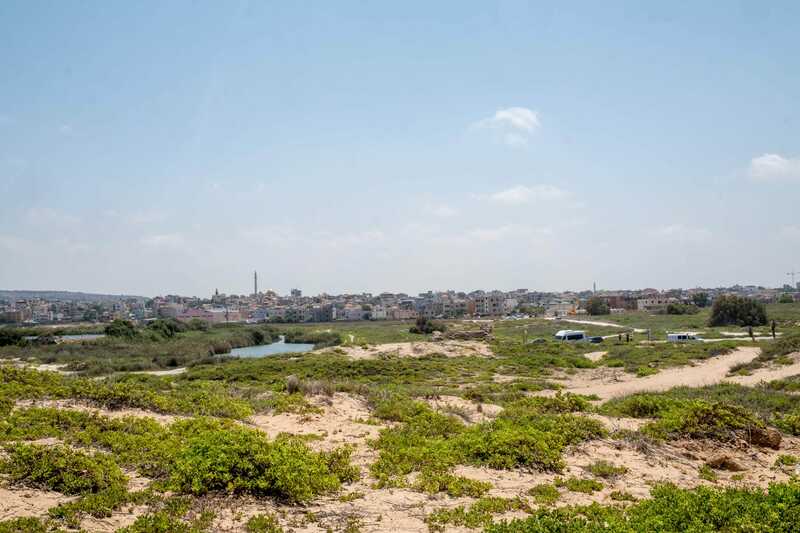 The government won’t approve permits for new buildings because of the proximity to Caesarea, Farah said, so residents build upward illegally. The houses are linked by looping green cables that carry electricity from one legal structure to half a dozen illegal ones, like a perverse game of telephone. “At a certain point, we need to be advocating for higher education and not for sewage systems, you know?” he said. Harrison Jacobs/Business InsiderA newly-built police station in Jisr az-Zarqa. We parked at the city-council building, which is a series of trailers. The new police station, opened in November, is next door. Residents weary of violence applauded the development, but there was frustration, Farah said, that the city council had asked unsuccessfully for years for a permanent structure. It still isn’t built. At the government’s direction, the police station was built on land that the town council had hoped to use for development. That day, Farah and the town council were due to show Emanuele Giaufret, the EU’s ambassador to Israel, the progress made by an EU-funded, Mossawa-coordinated project to empower the town to “maximise the economic potential.” One of the main plans, in the works for years, is to turn the village into a tourist destination. 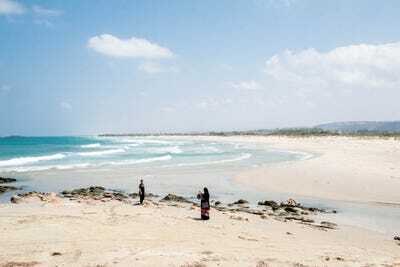 Its coastline is spectacular, and the thought is that it could become a beach town. After a short presentation, residents led Giaufret and the other attendees on a guided tour. We drove down a sand road to the coast, flanked by scrub plants and the Taninim Stream. The tour guide, a young Arab woman, pointed out the ruins of a stone bridge and explained that the town derives its name, which means “bridge over the blue,” from the bridge built to commemorate Kaiser Wilhelm II’s visit to Palestine, in 1898. Harrison Jacobs/Business InsiderA view of Taninim Nature Preserve near Jisr Az-Zarqa. Harrison Jacobs/Business InsiderJisr Az-Zarqa derives its name, which means “bridge over the blue,” from this bridge built to commemorate Kaiser Wilhelm II’s visit to Palestine, in 1898. 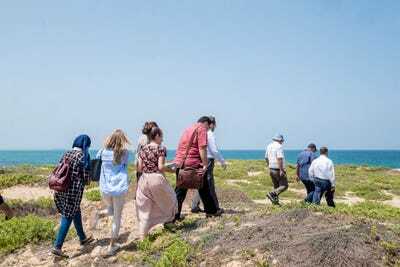 Harrison Jacobs/Business InsiderAttendees walk along Tel Taninim, a small hill on the coast of Jisr Az-Zarqa with ruins of an ancient city. 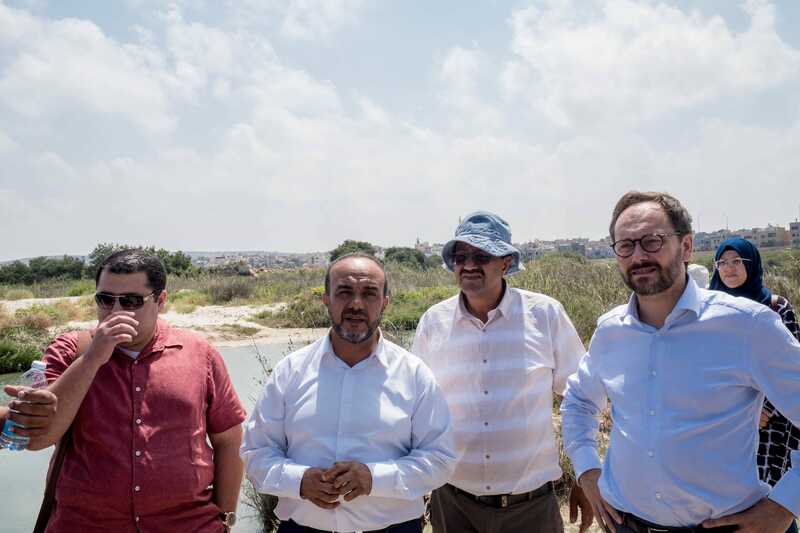 Harrison Jacobs/Business InsiderJisr Az-Zarqa mayor Morad Amash (second-L) and EU Ambassador to Israel Emanuele Giaufret (R) stand atop Tel Taninim. Harrison Jacobs/Business InsiderTwo residents of the town take photos in front of the coastline. As we walked along Tel Taninim, an ancient hill overlooking a wild and untouched Mediterranean beach, one of the women on the tour fainted. Her son splashed water on her face. She woke up and fainted again. It was ascertained that she was diabetic and didn’t have insulin with her. Others tried to shield her from the sun with a scarf. Marwa Zoubi, Mossawa’s social and economic program coordinator, turned to me. 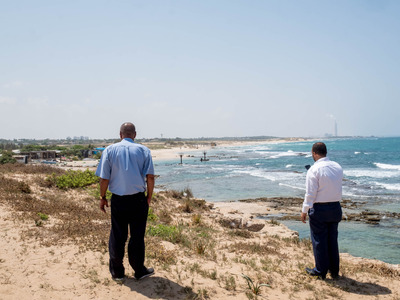 “This is the problem: The closest ambulance has to come from Caesarea,” she said. “Because the highway doesn’t connect to Jisr, it is 20 minutes away. 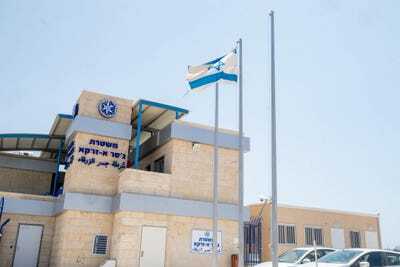 The closest hospital is in Hadera, 30 minutes away.” Jisr has no hospital, no post office, no social-security office, no bank, and no ATM, she added. There’s little land to add any of those things. 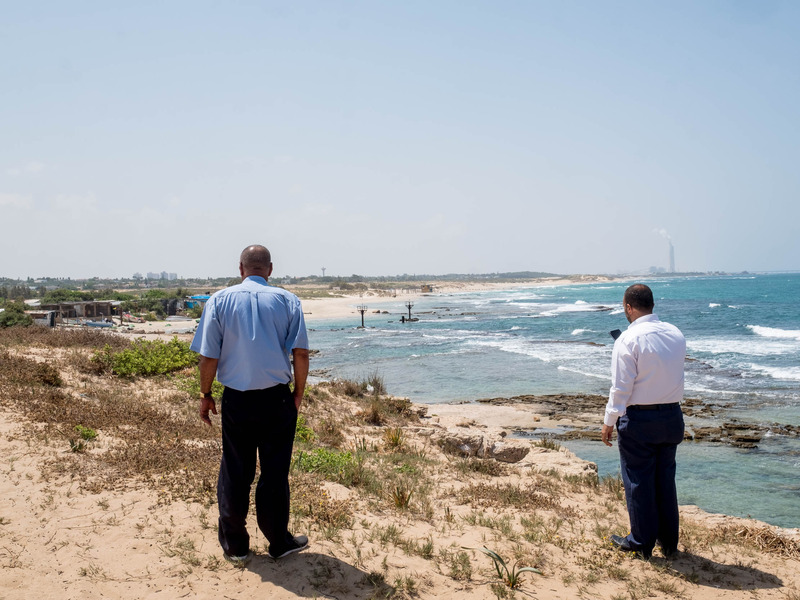 Harrison Jacobs/Business InsiderJisr Az-Zarqa mayor Morad Amash (R) calls paramedics after a woman on the tour faints in the sun. Harrison Jacobs/Business InsiderA paramedic and a lifeguard from a nearby beach attend to a woman who has fainted while on the tour. EU Ambassador to Israel Emanuele Giaufret (R) speaks to others in the group. To some, Farah’s statement might have sounded like hyperbole. But, after walking through Jisr and seeing the desperate poverty first-hand, it was clear to me that fixing the interconnected issues of crime, poverty, and poor health in Arab society needs to be at the top of Israel’s priorities.